If you’re looking to set up your first freshwater aquarium, there is more to keep in mind than you might think. Unfortunately, things are a little more complicated than just filling a glass box with water and putting some fish in it: you’ll actually have to set up and maintain a mini ecosystem. 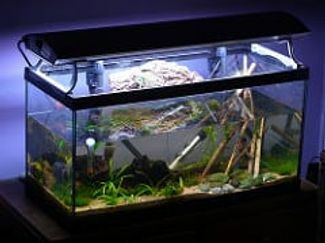 So how do you set up your freshwater aquarium? We’ll explain all the basics below. The first step to setting up your aquarium is choosing the tank, equipment and décor. This might seem as easy as picking the most economical and visually pleasing things at the store, but all these factors actually largely depend on your goals with your aquarium. Not all aquariums and equipment will work for you. Tank size & shape. It’s very important to consider what you want to do with your aquarium beforehand. After all, your goals determine which tank is the ideal choice. Important to keep in mind is that a larger aquarium is easier to maintain than a smaller one, though it’ll be a little more expensive. Additionally, a long aquarium gives you more stocking choices than a square or tall one, as it offers more swimming room to the fish. Equipment. Contrary to what many (beginning) aquarists believe, all aquariums need a filter. What type you choose depends, again, on what you want to do with your tank. Heavy stocking probably warrants a powerful canister filter, while you can make do with an internal or HOB filter if you aren’t going to keep as many fish.Most aquarium fish are tropical, which means you’re also going to need a heater as well as a thermometer to monitor the temperature. To keep an eye on your water values (more about that below) a liquid water test kit is needed and in order to be able to see your fish at all you’ll have to figure out which aquarium light type you prefer. Décor. Putting plants and decorations into your aquarium is not something you just do because it looks nice. You’ll also have to consider the wants and needs of your future fish.  Some like plenty of open swimming room and will appreciate it if you keep the decorations to the sides of the tank, while others are shy and need multiple hides to feel safe.The most popular aquarium décor is live plants. These don’t just look nice and give your fish a place to hide, they also offer the extra benefit of helping to keep your water values stable. 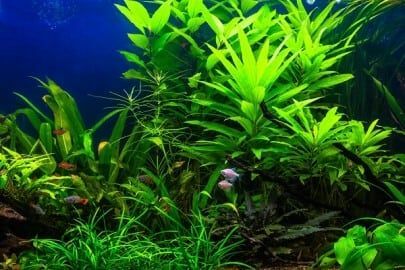 Growing live plants in your aquarium might seem daunting at first, but luckily there are many beginner-proof species out there. After you’ve acquired your aquarium, equipment and décor, it’s time to set things up. Resist the temptation to introduce fish into the tank right away. It has to be cycled first to make it safe for fish, or your new additions might not make it for long. Setting up your aquarium. To set up your new tank, make sure the cabinet you’ve chosen for it can hold its weight. Water is heavy! Also ensure the floor is level. If all is well simply place a layer of (washed) substrate at the bottom and position any rocks, driftwood, plants and other décor where you’d like it. Very gently fill up the tank with dechlorinated water and turn on the heater, filter and light. Voilà, you’ve got a brand new aquarium ready for the next step. Cycling aquarium. If you placed fish into the aquarium right away, they would likely quickly succumb. Why? 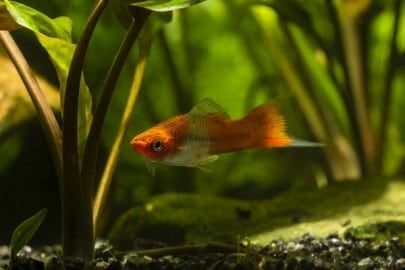 If an aquarium isn’t cycled before introducing stock, there are no beneficial bacteria present yet in the filter to deal with the toxic ammonia fish expel. Thus, you’ll have to cultivate these beneficial bacteria colonies first; the process takes a few weeks. It’s not too much of a challenge as long as you’ve got the required patience and a high-quality liquid water test kit. The nitrogen cycle and the process of establishing it is described in more detail here. Size. Most fish sold at the aquarium store are juveniles. You’ll have to research them before buying to figure out their adult size and whether they will outgrow your aquarium. Don’t forget to also factor in activity level and whether a fish needs to be kept in schools. Compatibility. Some fish are aggressive, others are docile and easily stressed. It doesn’t take much aquarium knowledge to realize that those two don’t go well together. Thus, it’s important to research the temperament of any species you’re interested in before combining them to prevent stressed or even dead fish. Water level. Not all fish inhabit the same water level. Some are bottom feeders that will spend almost their entire lives browsing around the substrate, while others stick to the middle or even top water layer. Most aquarists prefer to balance the amount of species they’ve got in each water level. It’s not necessarily bad to have many fish in the same layer, but things can quickly start looking very messy. 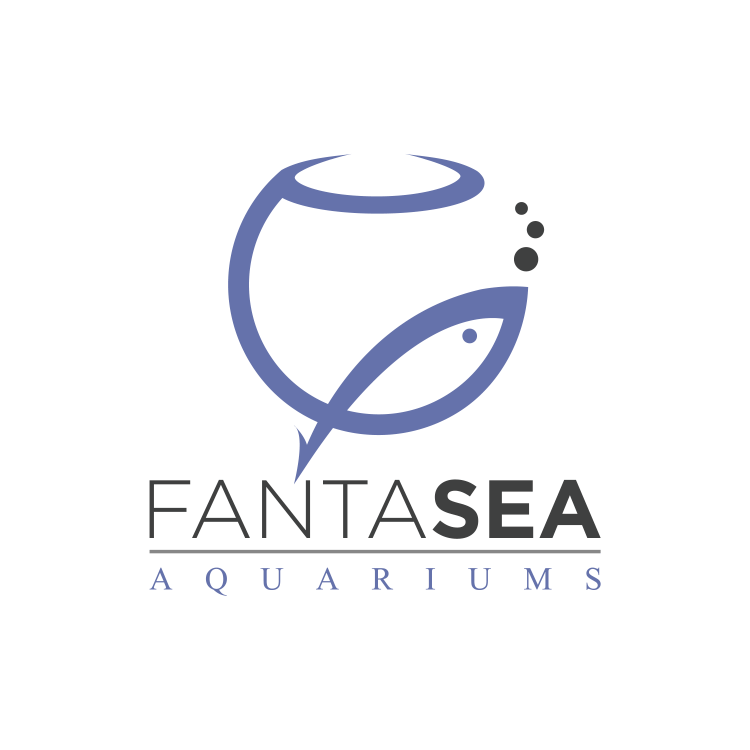 After the initial set-up, cycling process and introduction of fish, an aquarium will need weekly maintenance to avoid bad water quality and sick fish. A water change is required every week or so to remove the end product of the nitrogen cycle, nitrate. Although nitrate is not as toxic as ammonia, it can still damage your fish in higher concentrations. Adding fresh nitrate-free water is therefore needed to keep the levels under control. The exact amount of water you need to change depends on the nitrate level, but 25% would work well to start with. You can use this opportunity to also vacuum the substrate and remove any particles that might have collected. The aquarium filter works hard to remove both ammonia and any free-floating particles that might be present in your tank. These particles don’t just disappear once they’ve been sucked into the filter. They get stuck in the sponges and need to be removed manually by way of biweekly filter cleaning. To clean the aquarium filter, simply take it apart and squeeze the sponge in a bucket of aquarium water until dirt stops coming out. That’s it! Even in the most well-maintained aquariums algae can collect on the glass. Unless you’re experiencing severe algae blooms this is not necessarily indicative of an issue: it’s simply unsightly. Most aquarists prefer to remove algae regularly to keep their tanks looking sparkly clean. Is all the information on aquarium set-up in this guide sounding a bit intimidating? Although setting up an aquarium is definitely doable for a beginner, there are quite a few possible pitfalls. If you’d like to avoid these entirely we can help.  FantaSEA aquariums can take care of the entire process for you, from the first sketches to regular maintenance, so all you have to do is enjoy your fish. Sound interesting? You can contact us for a quote here.